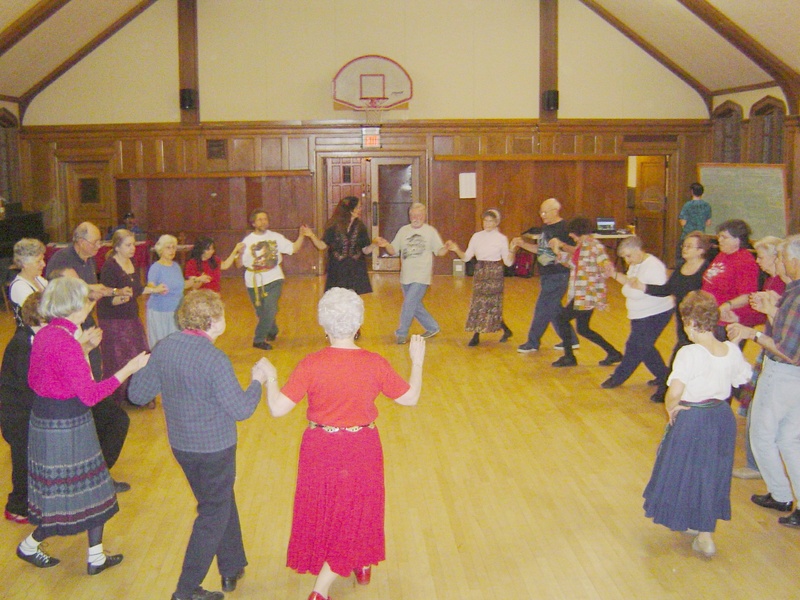 Morristown Folkdancers is one of the oldest groups in NJ, and we're still going strong. Come join us! Our dancing draws from the dance traditions of Eastern and Western Europe, the Balkans, Israel, England, Scotland, Greece, Turkey and Russia. Partners are not needed. We meet every Wednesday night, all year 'round. During the "school year," we especially welcome beginners with a basics session for the first half hour. Teaching of more intermediate-level or advanced dances follows, with open dancing after that. See the detailed schedule below for meeting times and cost. The first Wednesday of each month is party night, where we recognize our birthdays and anniversaries. 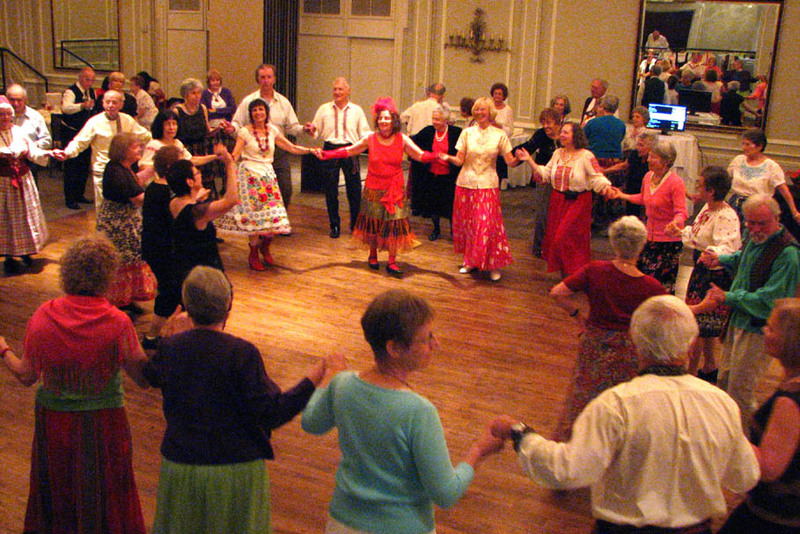 Our annual dinner dance is in late spring, featuring a pot-luck meal of great delectables. The Wednesday closest to Halloween is costume night, where everyone brings horrorble snacks. During the year, we have workshops, featuring nationally famous choreographers. We are having our annual Folkdance Ski Weekend at the Pocono Manor, on Feb 1-3, 2019, co-hosted with Red Bank's Monmouth Folkdancers. Special teaching sessions by your favorite teachers, dance parties each night. Get your reservations in early! Here's a flier with all the information. Parties: MFD's 40th anniversary party! Pictures from NJ's 6th Annual Folk Dance Fest in May 2014, hosted by Morristown Folk Dancers. 143 dancers, 5 states, from 11 groups - Wow! The pics are here. 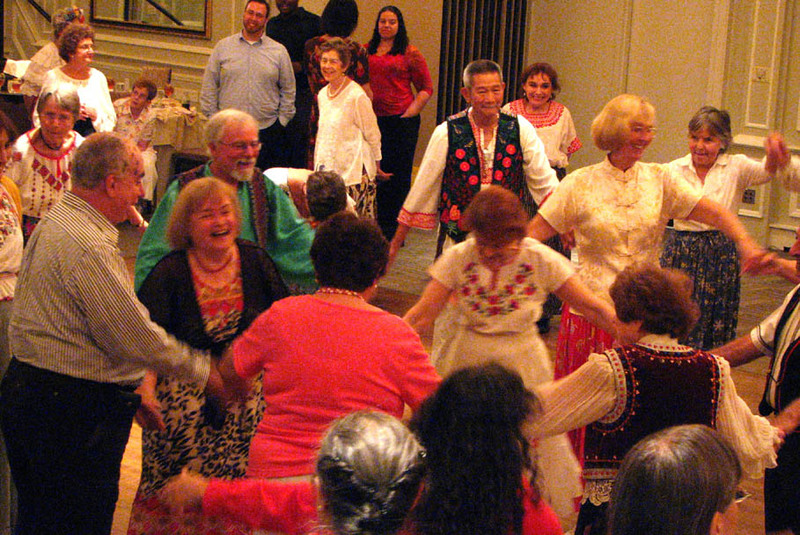 NJ's First Folk Dance Fest in April 2009 was hosted by Morristown Folk Dancers. We had 102 dancers from 11 groups. The pics are here. Recipe book from MFD's Dinner Dance Parties Newest entries at top. The direct link for these is here: ia601403.us.archive.org/8/items/InternationalFolkDances. For each dance there are other files, but choose the mp3s.